This was probably my father’s favorite side dish. He loved corn in all is various concoctions, but this was his absolute favorite and my mother knew it. So this dish graced all of our holiday dinners. I think it is particularly delicious with an Easter ham. 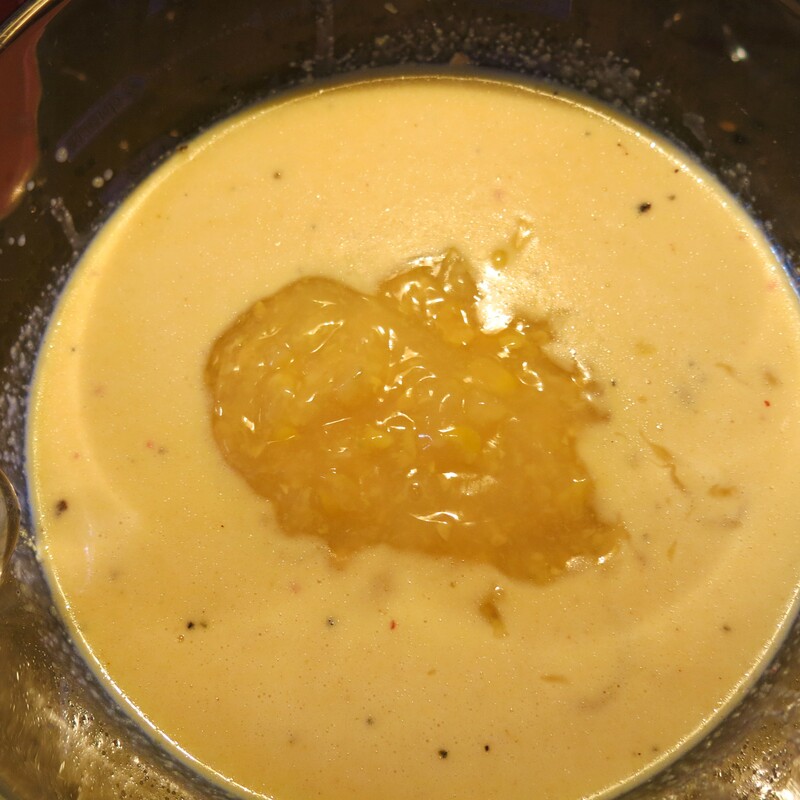 This is creamy, tasty, a bit cheesy and just a celebration of pure corn flavor. You can make this in the summer with fresh corn, cutting the kernels off the cob and then almost puréeing the mixture in the food processor. But this is the version of my childhood and it is a great memory. The recipe is simple and straight-forward. Feel free to double or triple the recipe, if desired. 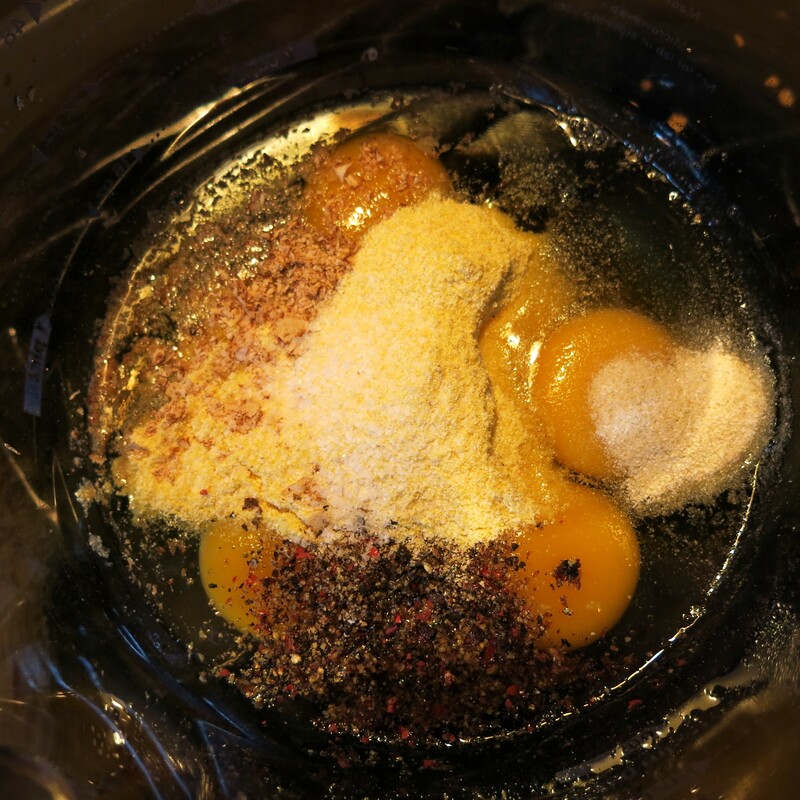 In a large bowl, combine the eggs, cornmeal, and seasonings; whisk until well combined. 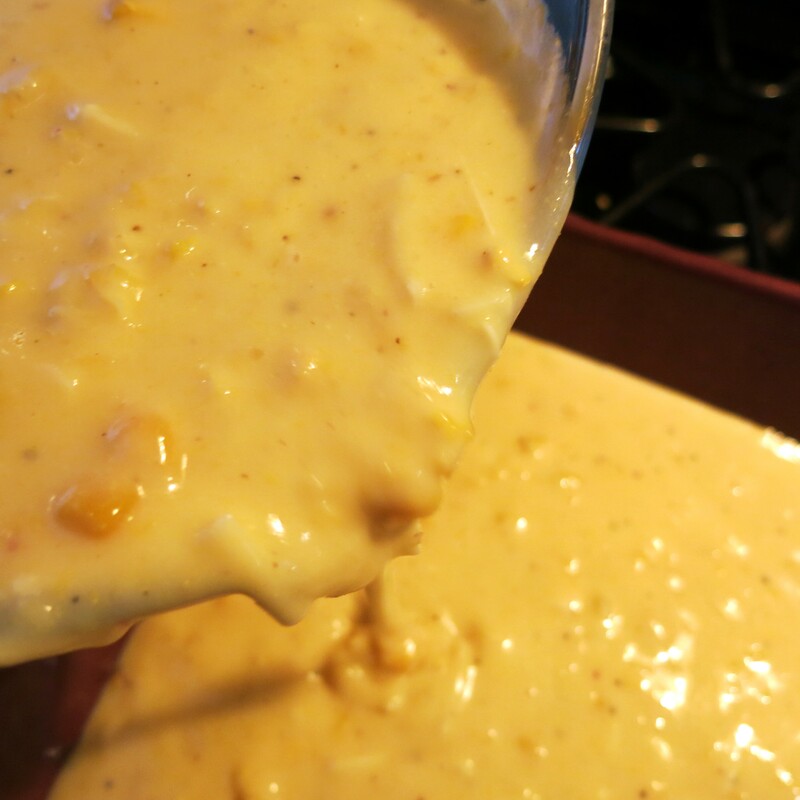 Add the corn, evaporated milk and melted butter; stir until everything is completely combined. Stir in the cheese. 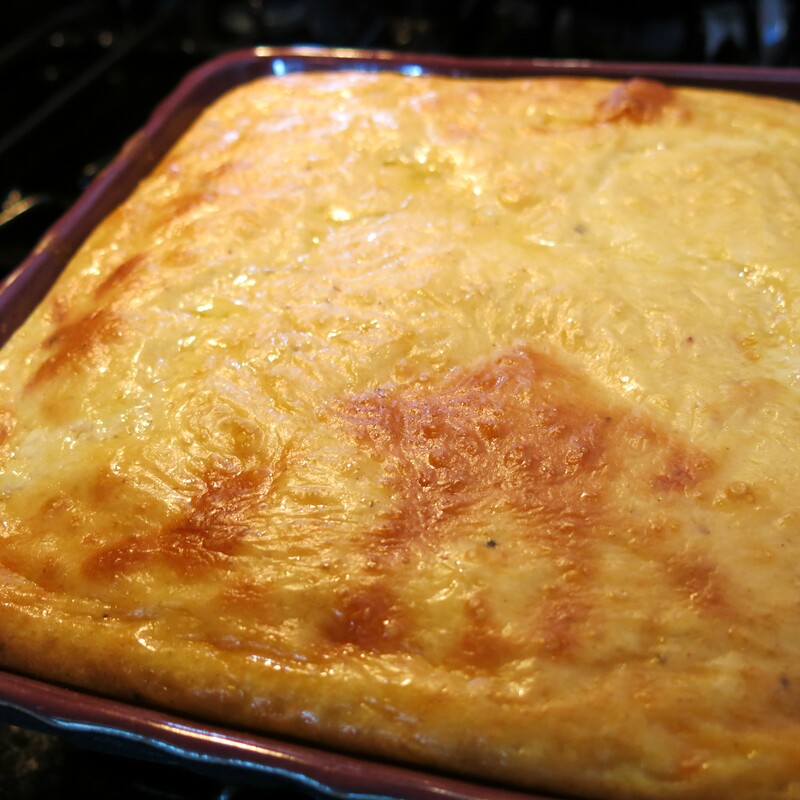 Pour into a well-grease shallow baking dish and bake at 350°F for 55-65 minutes. The very center should not be completely set. It will finish cooking as it cools. Cool for 15 minutes and serve. Make-Ahead: Can be prepared and baked up to 24 hours before serving. Reheat in the microwave at 50% power until hot or serve at room temperature. 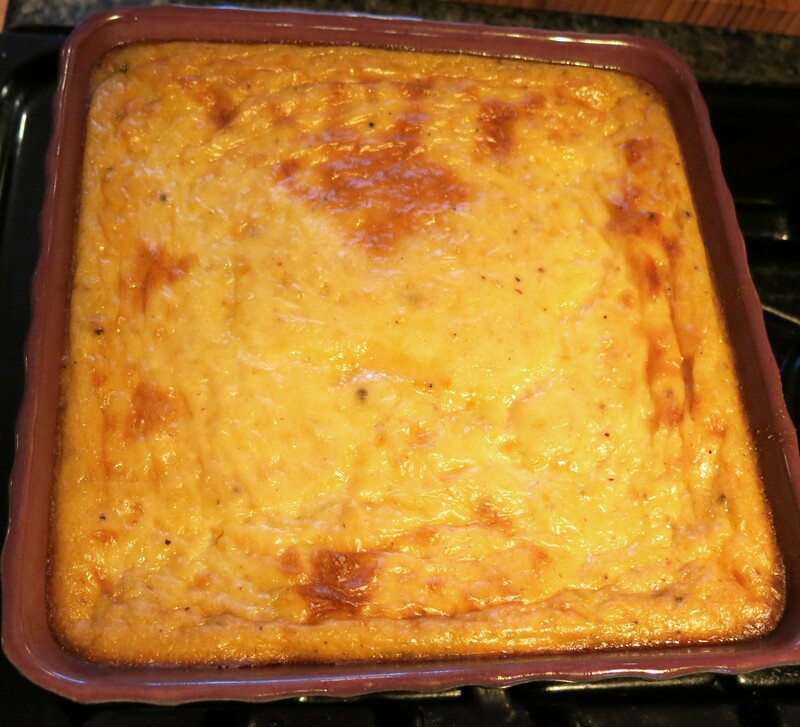 Scalloped Corn Recipe©Marcia Lahens 2015. All rights reserved. This goes together in about 5 minutes…. Feel free to add finely minced onion, scallions, or chives. 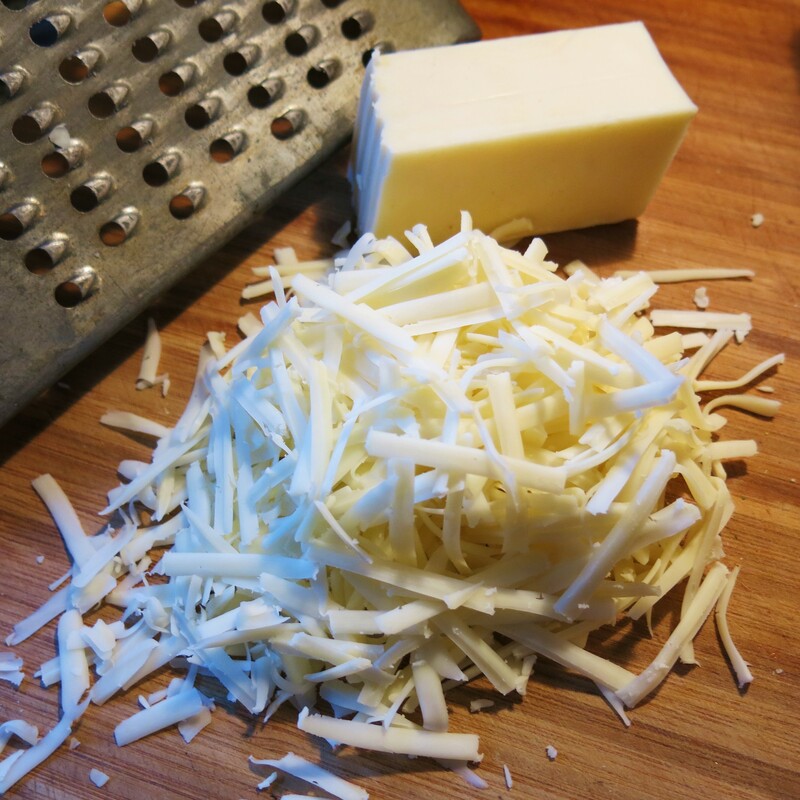 Change the cheese to Swiss or Fontina. Add red pepper flakes or guajillo chile powder and bacon bits. My father loves this with oysters added and part of the milk replaced with and equal amount of oyster liquor (that’s the liquid that the fresh oyster “floats” in). And that’s all there is to it! Cut into squares or spoon it out and thanks for letting me make a memory once again. New comfort food to try!